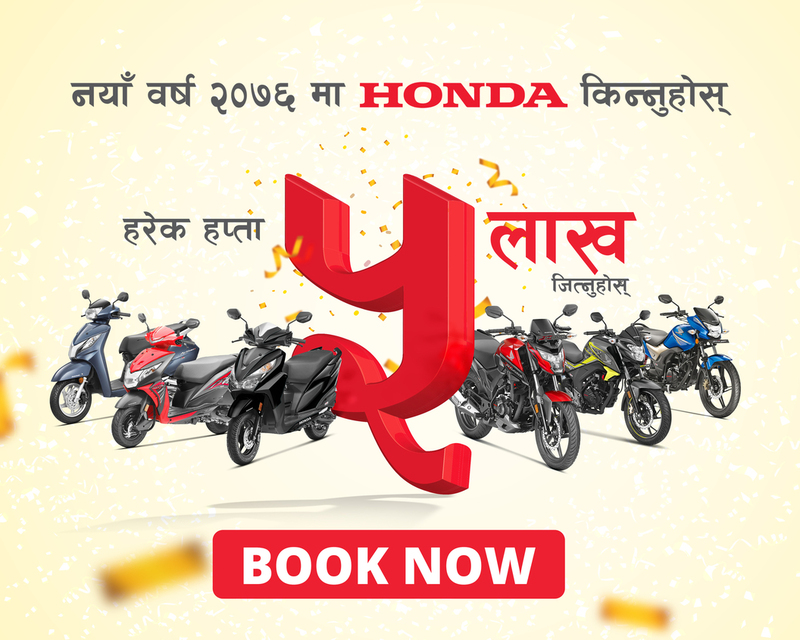 Syakar Trading Company (STC), the authorized distributor for Honda Cars in Nepal, and one of the leading companies of the Jyoti Group, have launched the all-new Honda Jazz in the Nepali Market. Honda Jazz comes with state-of-the-art features designed and perfected to give you a superb driving experience. With its sporty cross fade monoform design, bold, super-slick front and side character lines, dynamic alloy wheels and rear spoiler makes, it is built to stand apart from the crowd. of the all Its elegant aerodynamic style symbolizes speed and control, whereas the futuristic cockpit interiors of new Honda Jazz is based on innovative Man Maximum Machine Minimum philosophy that offers you the best-in-segment space (354 liters) and comfort. To provide maximum safety, it consists of Dual Airbag, ABS, ACR body structure, first-in-the-segment multi-view reverse camera, and Paddle Shift. Honda Jazz comes with best in Segment 1.2 L i-VTEC petrol engine strikes a perfect balance by providing an impressive power 90 ps combined with mileage of 18.7 kmpl in the manual transmission. The new Continuous Variable Transmission with Torque converter, on the other hand, offers excellent economy of 19.0 kmpl and boast of being more fuel efficient than any other manual in its segment.